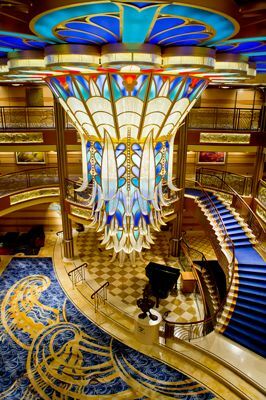 A few years ago, Disney Cruise Line started something new for last minute travelers in search of a bargain. It offered non-refundable, restricted fares called IGT (Inside Guarantee), OGT (Oceanview Guarantee), and VGT (Verandah Guarantee). These fares used to be very rare and only offered during the slowest times of the year. Well, they’ve been increasing in regularity in the last year and are popping up even on what are traditionally the most popular times to sail, like Thanksgiving week. The more these fares appear, the more questions they seem to generate. So let me try to help by explaining what these fares are and maybe even what they aren’t. 1. Why Should I Care About These Fares? – Or, in other words, how big of a discount are we talking? – A pretty good one! As a general rule, opening day prices are about the cheapest Disney cruises get. Usually these rates take you back down to those opening-day prices for your sail date. Sometimes they are a little better, more often they are the same or more. If you didn’t get in on opening-day prices, these fares may be calling your name. 2. What the Heck do Those Acronyms Mean? – IGT, OGT and VGT. What do they mean? It means you save money and are picking a “general type” of stateroom, which prevents you from reserving specific staterooms or locations. If you choose IGT, for example, you are booking an inside stateroom in category 10 or 11, while OGT is an oceanview stateroom in category 8 or 9, and VGT is a stateroom with a verandah in category 4, 5, 6 or 7. You are not picking a specific room number, or a specific category like 7, 9, 4, etc. This means that if you desperately want an inside room with a split bathroom (found in categories 10 and up) and will be very disappointed if you don’t get it, then do not book an IGT fare because Disney may assign you a category 11 room without a split bathroom. You will have no input in that decision because you are paying less for the IGT fare and allowing Disney to select any category 10 or 11 stateroom for you. On the other hand, if you just want a verandah at a good price and could not care less where you are on the ship and how huge, small, or obstructed your verandah is, then booking a VGT is perfect. 3. When I Reserve One of These Fares, Can I Put Down a Deposit and Pay Off the Rest Later? – No. For these fares, payment is due in full when you book. Occasionally, the cast member you speak with at Disney Cruise Line when you make your reservation may let you hold it for an hour, but as a general rule there are no holds; you must fully commit at the time of booking. 4. I’m Already Booked, This is Better, Can I Rebook? – These rates are for new bookings only, you cannot modify existing bookings. You can rebook, but you must cancel your previous booking and pay the appropriate cancellation fees, assuming you are in the penalty period. Now this may not mean you’re out of luck! I’ve seen cases where people were able to come out a little ahead after cancelling, losing the cancellation fees, and rebooking with the new rate. If you see them for your cruise and aren’t attached to your room, you should definitely run the numbers or contact your travel agent to do it for you. 5. Can I Change Something After I Book? – Nope. No changes are allowed. You cannot change your sail date, passenger names, or anything else. Remember, Disney is charging you a lower fare in exchange for your giving up the normal flexibility you get when you pay a traditional (i.e., higher) fare. Now Disney isn’t heartless, and if you accidentally misspell a name, they’re usually going to let you fix it. Just be careful. The one exception to this “no flexibility” rule I’ve seen is that Disney will sometimes let you add someone to the room if there is availability. There are a couple of reasons for this exception. Reason number one – you aren’t changing the people in the stateroom, you’re just booking someone new. Technicality, I know. Reason number two (and I think we all understand this is perhaps the biggest reason) – your new reservation will cost more. Disney tends to look the other way when you make prohibited changes that increase its revenue. 6. Can I Make Requests? – You cannot put in requests for room location or category. The good news is you can still make all the normal requests like a specific dining rotation you would like, table for two, specific servers, etc. You can also still link your reservation to your travelling companions. And Disney pays attention to those links! I’ve seen two VGT rooms who were travelling together end up right next to each other on more than one occasion. 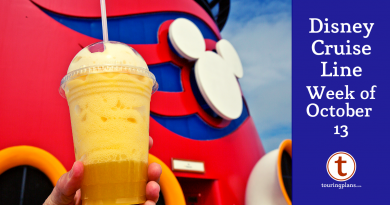 There are no guarantees, but Disney likes happy cruisers! 7. When Will I Find Out My Room Number? – Room numbers are usually assigned about 30 days before the sail date. Usually. There are frequent exceptions to this one, but it’s a good rule of thumb. Sometimes you will find out by an updated email from Disney, but more often a room number will just appear in your online reservation. I usually start obsessively checking at the 35 day mark. 8. I Hate My Room Location. Am I Stuck? – Yes. You can’t make any changes at this point since you paid for a non-changeable room. And not to say I told you so, but you really shouldn’t have booked this if you wanted something specific. See Question 2 above. But all hope may not be lost. 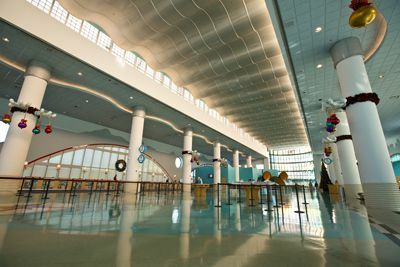 IF your sailing is not full, and IF you get to the terminal early, and IF there are still upgrades available when you check in, just like every other interested passenger, you may be able to get a discounted upgrade in the terminal. Booking one of these fares does not leave you ineligible for these great deals. 9. Wait. I Booked a GTY Room. Am I Under All of These Restrictions? – No! These Fares are Not the Same as GTY (Guarantee) Status Staterooms. Yes, the acronyms are similar, and, yes, this causes great confusion, but they are not the same! When a category gets close to full, Disney stops letting you pick a room number and your room assignment will say GTY. That means you are guaranteed whatever specific category (i.e. 9C, 7A, 4B) you booked – or better. As long as you are outside the penalty period, you can make whatever changes you like to GTY rooms: change names, drop someone, change sail date, cancel, etc. GTY rooms are NOT due in full at time of booking. If your room assignment comes and you don’t like it, assuming there is availability, you can pay to upgrade! Not the same! See? 10. How Do I Find These Rooms? – They’re easy to find, actually! When you go Disney’s website to look for prices, if a particular sailing is offering the rate, it will be the first option that shows up under each general category (e.g., inside, oceanview, verandah). It’s the first option because it’s the best price. Search the date you’re interested in and keep an eye on them. Or better yet, get a travel agent you trust and ask the agent to get all the information for you. Do you have any other questions or tips about IGT, OGT and VGT? Have you tried them, and – if so – how did they work out for you? Great summary! I will add a couple of other points though (from our experience booking OGT). When we booked our OGT, we were not allowed to use our onboard booking deposit to get 10% off the fare. This was a huge negative for us. For this reason, we never booked another onboard deposit. Since we’ll probably always sail IGT/OGT/VGT in the future, these future deposits will be useless for us. It can also vary as to whether or not you get the $50 Disney Visa onboard credit… sometime they will give it to you and sometimes they won’t. We were part of a Fish Extender Exchange and the other people involved got really fed up with us when we couldn’t provide our cabin numbers until the very last minute… they had spreadsheets and deck plans and lists they wanted to fill in, and our lack of cabin numbers was preventing them from completing everything! These fares can be very cheap. We had actually been looking for a 4 person oceanview cabin, and it was cheaper for us to get 2 OGTs for 2 people. Because not all cabins can house 4 people, it is worth it it check this option (looking for two 2-person IGT/OGT/VGT cabins). With 2 cabins, we had way more space than we needed, plus we got 2 sets of Castaway Club gifts and 2 sets of onboard credit from our TA! Disney really does try to get you together if you have multiple cabins. However this is much easier for verandahs (since there are so many of them) than for oceanviews or even insides. On our OGT cruise, we were 5 cabins apart, which worked out okay for us. But everyone on our cruise who had booked 2 cabins in VGT (and there were a lot) got cabins next to each other. I’m pretty sure Disney gave us the closest 2 oceanview cabins they had, but there wasn’t nearly as much to choose from. You are correct, you can not combine your 10% rebooking onboard discount with these fares. They would move your deposit over to the new booking, but you will not get 10% off, so my advice is to save the 10% off for another cruise. I have also seen mixed reviews on the Disney Visa credit. It’s definitely worth a try. You’re absolutely correct. Sometimes these fares are not available for four people, but you can find them for two. Having two rooms with two bathrooms is a huge plus. That’s a very good point about the number of verandahs vs. the number of oceanviews. Definitely something to consider.